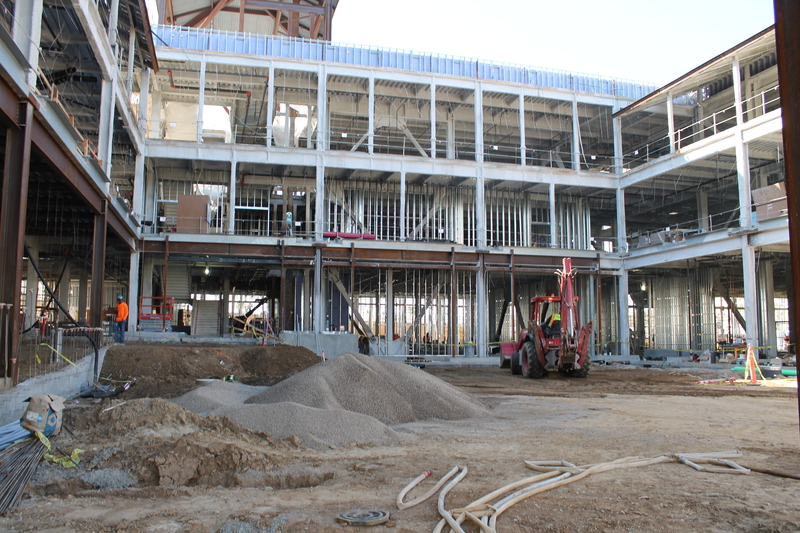 The courtyard of Aztec Student Union is slowly coming together. 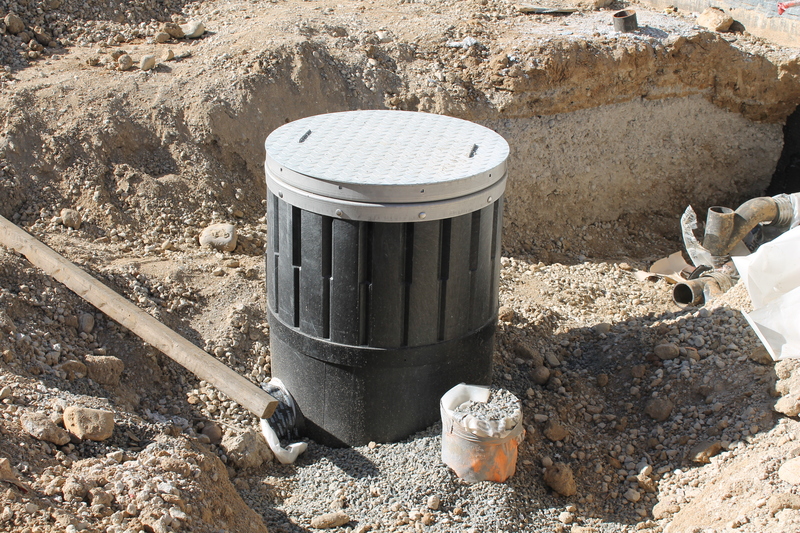 With the rain water collection tanks underground, crews have gone to work installing rain water filters this week. 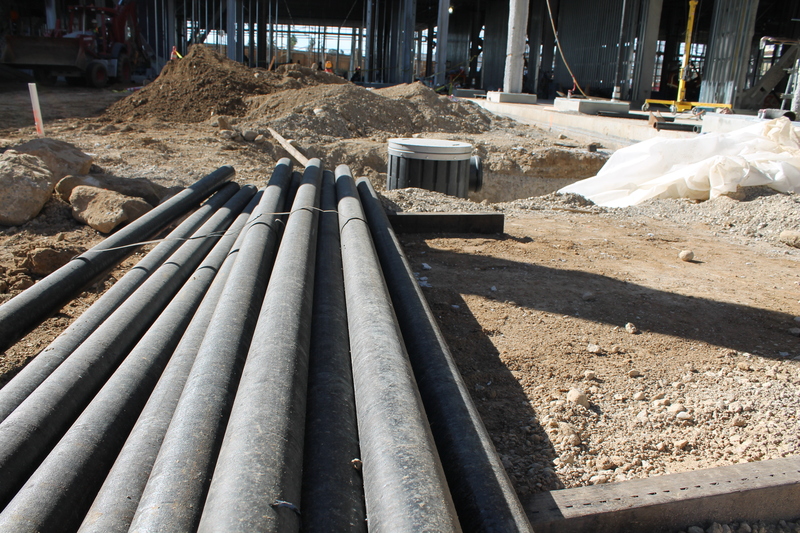 Water from the roof will run off into pipes that will wind their way through the building’s outer walls. From there, the water will flow through the filter (pictured above), removing any detritus, and finally find it’s home in the water collection tanks buried underground. The water collected will be used on landscaping in and around the building. There are other features to come in the courtyard, some of which the crew is prepping for now. Future sights in the courtyard include a water feature — a fountain made with sustainable materials — and landscaping. 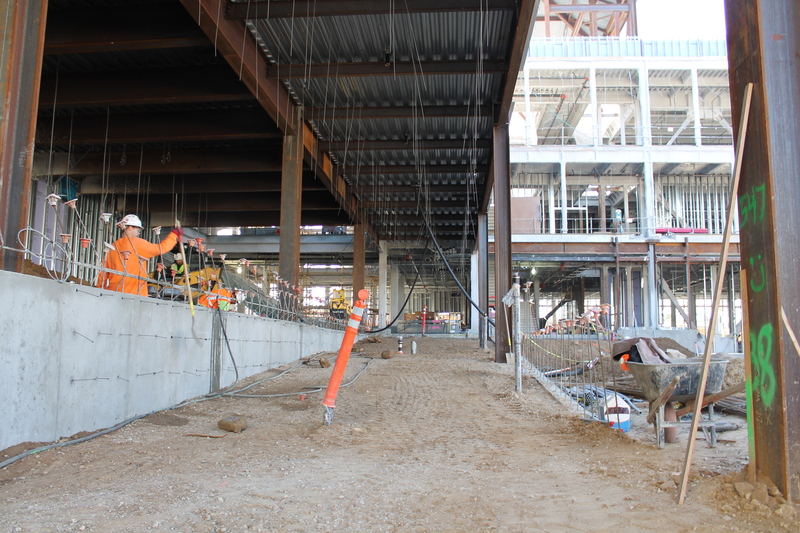 Grading has also begun for the accessible walkway that will guide visitors from the pedestrian bridge that spans College Ave. to the courtyard and Centennial Walkway. In the coming weeks, we hope to have some exciting news about the courtyard. Until then, keep your eyes on Aztec Student Union! Need more Aztec Student Union? Be sure to “like” it on Facebook, follow it on Twitter or visit the live web cam on the website.